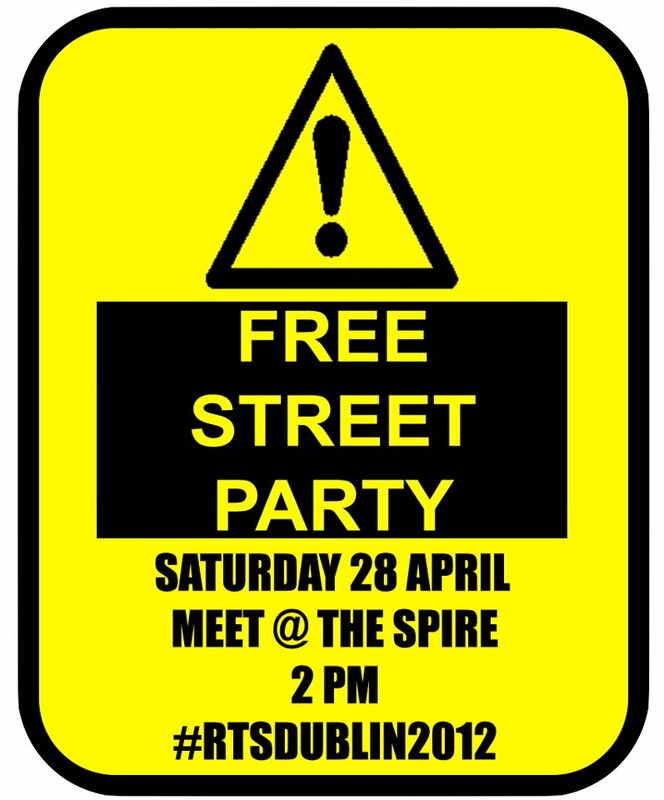 Reclaim the Streets (Sat, 28 April) | Come Here To Me! 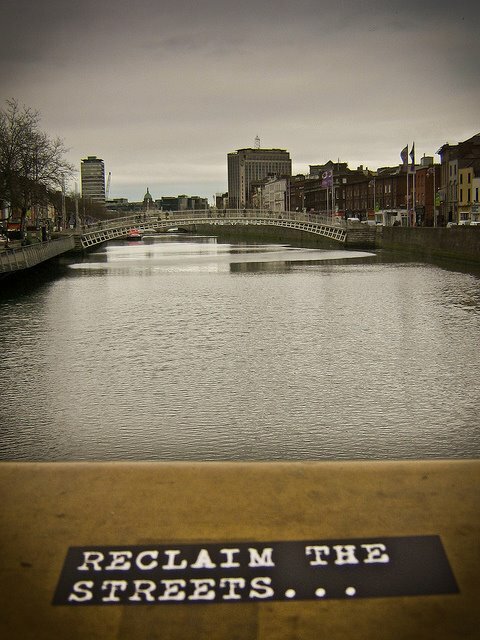 Seventeen years since the first Reclaim the Streets in London, seven years since the last RTS in Dublin, and, most importantly, ten years since the RTS in our city that was attacked by police on Dame Street – Dublin is set to see one again. 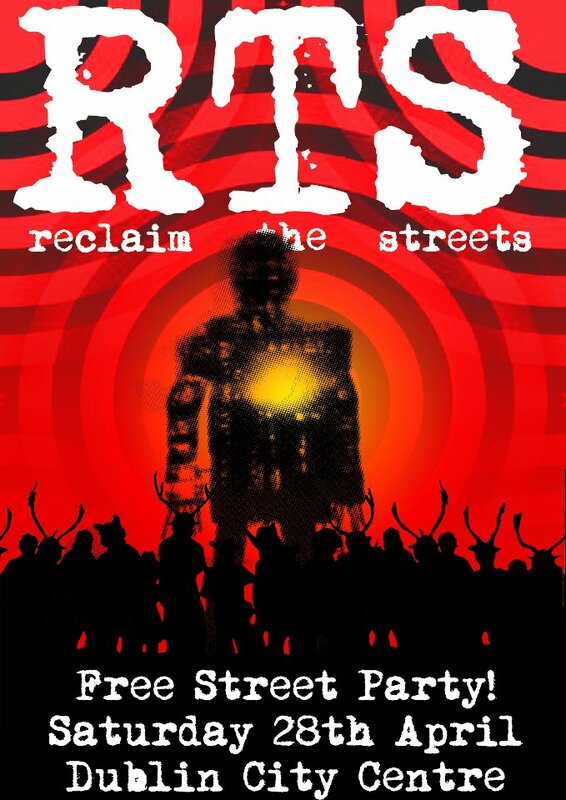 Reclaim the Streets, which came about when the British anti-Motorway and anti-Criminal Justice Bill rave scenes hooked up together, is about reclaiming public space temporarily for a street party. I reckon I might wander down on Saturday for a look. For more info check out the FB event or the FB page.